In this episode, Tom Araya and Kerry King talk about Slayer’s earliest shows, especially the band’s very first show as Slayer: how nervous they were, the home-made flash pots that just didn’t quite work the way they had intended, and more. The clip contains not only vintage live footage of the band, but the band-made flyers that promoted some of their first shows. In these early days, Slayer toured the country in Araya‘s Camero and a U-Haul trailer, a far cry from the way they tour today. On January 22, Slayer announced that the band will do one final world tour to say goodbye and thank the fans for more than three decades of great times, and then move on. 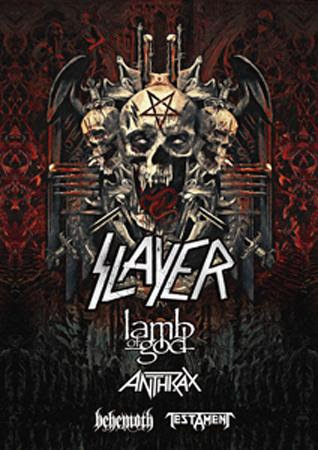 With support from Lamb of God, Anthrax, Behemoth and Testament, Slayer’s North American Leg One dates start on May 10 in San Diego, CA. Lamb of God, Anthrax, Testament and Napalm Death will support Slayer on Leg Two. All announced dates are below. 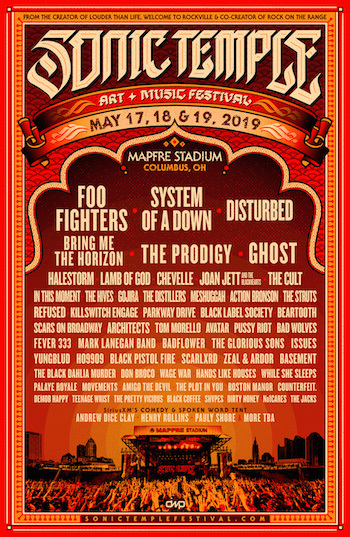 Visit www.slayer.net for ticket/VIP package purchasing options.